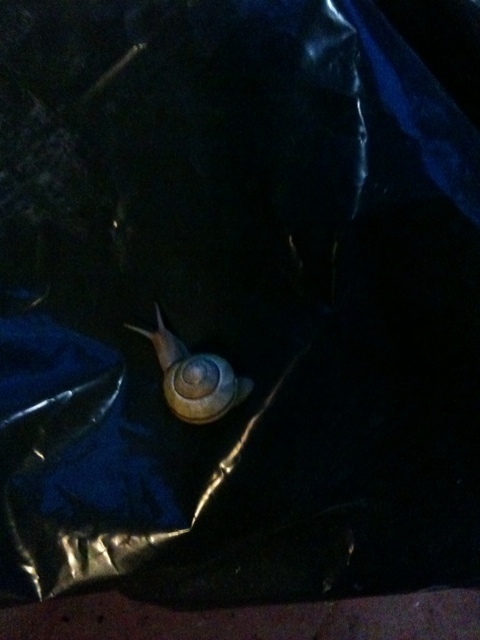 Hard to see and believe, I know, but this is the snail crawling out of the contractors bag I put him in. Bad revel gardener, bad. Maybe this is why I’m still here?